Recently, NBC did a report that grain-free foods are causing a type of potentially deadly heart disease called dilated cardiomyopathy (DCM) in dogs. The veterinarian they interviewed specifically said dogs need a grain-based dog food. People are now being scared off all grain-free foods. We caution that there have been a lot of sweeping generalizations by the media, by people on social media, and by veterinarians regarding this issue; our goal is to avoid any "hysteria" when in actuality, the facts may be few. The characterization of “fad based/boutique” grain-free foods is unnecessarily inflammatory. Please consider that major pet food companies, who most trust are “backed by science” or are a “reputable company,” either make grain-free diets themselves, or they’ve bought out smaller competing manufacturers who do. Large parent corporations have the ability to shroud these acquisitions from the public eye by maintaining the original, smaller company branding. Terms like “science-based diets” vs. “fad based/boutique diets” can be used as a simplified way to draw a line in the sand of “good” vs. “bad”. Grain-free diets have been around for a lot longer than one could consider “a fad,” and it has only been recently that the current issues have come to light. So what has happened? Canine Dilated Cardiomyopathy (DCM) is a disease of a dog’s heart muscle that results in an enlarged heart. As the heart and its chambers dilate, it becomes more difficult for the heart to pump blood efficiently. The heart valves may leak, leading to a buildup of fluid in the chest and abdomen. DCM often results in congestive heart failure. Symptoms of DCM include tiring easily, shortness of breath, and coughing. Over the last year or so, some astute veterinary cardiologists began to take note that unique breeds of dogs, not typically known to develop dilated cardiomyopathy were, in fact, developing dilated cardiomyopathy. They also noted that they were fed grain-free diets. They surmised there was a connection between the two and the cardiologists reported their concerns to the FDA. This led the FDA to release a warning in July 2018 that grain-free dog foods, which rely heavily on potatoes, legumes, and exotic proteins, may have a possible connection to the development of dilated cardiomyopathy. Vegan and homemade diets were also reportedly involved. Again, this caught the FDA’s attention because some of the dogs were not the breeds typically known to develop DCM due to taurine deficiency or genetic factors. These atypical dog breeds included Labrador Retrievers, Whippets, Miniature Schnauzers, one Shih Tzu, one Bulldog, and an unspecified number of mixed-breed dogs. Scientific evidence and statistics are based on the premise that, correlation does not equal causation, and there are likely to be many other factors at play. There are dozens of grain-free dog foods on the market, and without knowing which brands are involved, it’s impossible to know for certain what ingredients, manufacturing processes, or other factors may be at fault. The association between diet and DCM could be far more complicated than one or two ingredients. It is important to consider the interplay between genetics and one or several ingredients, and perhaps the food’s overall content of methionine, cysteine, l-carnitine, and taurine due to processing or inadequate supplementation. But at this point, no one has specific conclusions for which factors are actually problematic, or in what amounts or combinations. For example, ingredients are listed by weight on the pet food label; using multiple legumes, potatoes, or fractions thereof (a practice referred to as “splitting”) allows a company to include far more plant protein than meat protein, while allowing the named meat to remain at the top of the ingredient panel. So, it may not be potatoes or legumes that are the problem; rather, it may be an overwhelming amount of potatoes or legumes compared to meat. Also, the FDA failed to indicate whether the associated foods were dry, canned, or both. 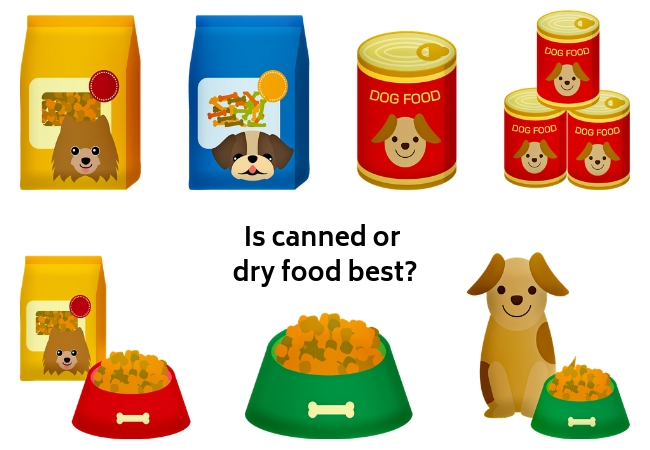 It’s probably safe to assume that most or all were dry foods, since that is what the vast majority of dogs are fed in the U.S. But it is worth noting that, in the case of cats, canned foods need supplemental taurine at a much higher level than dry foods, because cats’ gut bacteria interact differently with those food forms. So, there may still be some questions to answer here. 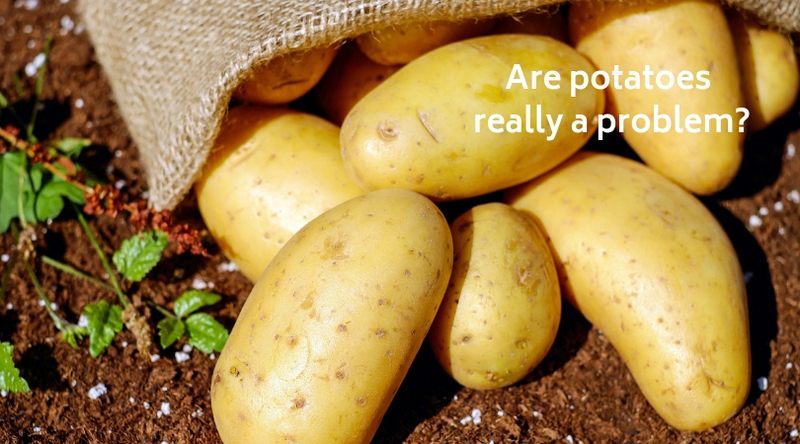 Consider, too, that potatoes have been used in dog food—particularly “hypoallergenic” formulas from the large “science-based” pet food companies—for decades. So there may need to be more research into why potatoes are safe in some instances, but purportedly not safe in other instances. Prior to WWII, more than 90% of commercial pet food came in cans, and contained mostly, if not only, meat. However, as you can imagine, tin metal was rationed and diverted from pet food companies to the military and processed, shelf-stable kibble was the solution. At the end of the war, 85% of pet food was dry kibble. Kibble at that time still contained a large amount of meat, likely preventing taurine deficiencies from occurring (we’ll talk about taurine more soon). The process of creating dry kibble is called extrusion. During the 1950’s, the primary machinery for producing kibble, called an extruder, was introduced. In order for an extruder to create the correct consistency of "dough," a minimum amount of starch is needed. This started the trend of increasing the quantity of cereal grains, such as corn, into dry pet foods. Concurrently, meat processors were becoming more proficient at removing meat from livestock carcasses. This allowed pet food manufacturers to substitute higher quality meat products for other leftover animal tissues, or “by-products.” Over time, the result was a high-grain, low-meat, and/or low-quality-meat dry food, for which the profit margin is, conveniently, much higher than for canned food. Regardless, at the time, pet owners were delighted. Dry pet food was less messy and stinky and more convenient. Fast forward to the late 1970s. Cat owners and their vets were noting a large number of cats going blind or dying of congestive heart failure due to a condition called dilated cardiomyopathy (DCM). (Source) Researchers at UC Davis noted that many of those cats were eating the same food. In the mid-1980s, they published the results of their research showing that taurine deficiency was the issue. It was found that taurine is a dietary requirement for cat health, as cats cannot make it themselves. Pet food manufacturers scrambled to supplement taurine in their feline diets. Since then, DCM (dilated cardiomyopathy) dramatically decreased in cats eating commercial, “balanced” cat food supplemented with taurine. (Please note, that cats can develop DCM unrelated to taurine, and a genetic form exists in some breeds). Taurine is an amino acid that can be produced by many mammals in an organ that sits near the stomach called the pancreas. Even though many mammals can make taurine, they require amino acid precursors such as methionine and cysteine in order to do so. Basically, the manufacturing chain of taurine is as follows: animals use an essential amino acid called methionine to make cysteine and then taurine is made from cysteine. Taurine is nutritionally found in muscle meat and organs like the heart, kidney, and liver and in seafood. It is also abundant in the brain and eye. It is an essential component of bile acids, used to break down fats from food. Taurine is imperative for health. It is required for proper muscle function, most notably, heart muscle. Taurine is important for brain and eye health. It acts as a potent antioxidant and anti-inflammatory agent and is essential for immune system function. Taurine has been shown to improve periodontal disease in humans. It also helps regulate blood pressure and is an extremely important cellular protector. So, a diet deficient in taurine causes eye problems and (eventually) irreversible blindness, hair loss, tooth decay, and heart disease. Heart disease, specifically, dilated cardiomyopathy secondary to low levels of taurine in the diet is generally reversible by adding taurine to the diet. Thus, taurine is now a requirement of the Association of American Feed Control Officials (AAFCO) in cats, but AAFCO nutrient profiles do not specify a required level of taurine in dogs. As stated earlier, AAFCO stands for the Association of American Feed Control Officials. AAFCO is a voluntary organization, whose advisors and committee members include representatives from major feed manufacturers and ingredient suppliers such as Nestle Purina, Hills Pet Nutrition, Nutro Products, and Cargill Animal Nutrition. It has no power to regulate, test, or approve pet foods. (Source) It’s not a government agency like the U.S. Department of Agriculture (USDA) or the Food and Drug Administration (FDA), so AAFCO does not have any regulatory authority. Instead, AAFCO has established a series of nutritional standards for "complete and balanced" pet foods. The nutrient profiles set forth by AAFCO list minimum and maximum levels of intake for protein, fat, vitamin and mineral content of foods. Any dog food manufacturer that wants to make the claim that their food is "nutritionally complete" or is "complete and balanced" must meet AAFCO’s nutritional requirements, feeding trial requirements (generally a 6 month test to see if an animal survives eating a particular food), or produce a food similar to one which has met these requirements. When one thinks about a feeding trial, one envisions lots of pets tested, lab coats, years of testing, …a big deal! In actuality, here is how it happens. A trial for adult maintenance food for example only needs 8 animals. The food being tested must keep 6 out of 8 dogs/cats alive and generally healthy for 6 months. They cannot lose more than 15% of their initial body weight or without significant changes to basic blood values. To state the obvious, most nutritional deficiencies or excesses will not be apparent within a brief 6-month trial, as they tend to take much longer to develop (Source). The availability of taurine is affected depending on how the food is prepared, with raw diets typically retaining the most taurine, and baking or boiling resulting in the greatest taurine loss (Source). Even worse, if a water-based cooking method is used (i.e. rendering cooks the meats into a huge liquid soup, which is then dehydrated to make kibble), most of the taurine contained in tissues will be dissolved into water. Also, bacteria destroy taurine, so the longer the animal protein used in the food has been dead, the lower the taurine content. Again, this may be particularly important when rendered products are used to make pet food. Dogs make their own taurine primarily from an amino acid called cysteine but can also make it from another amino acid building block called methionine. It was thought that, because they could produce it themselves, dogs didn’t need taurine supplemented to their diet, like their cat counterparts. It has been known since 1997, that a link exists between taurine deficiency and DCM in dogs. Some dogs can’t make enough taurine for their taurine needs. DCM is a somewhat common form of heart disease of large and giant breed dogs. 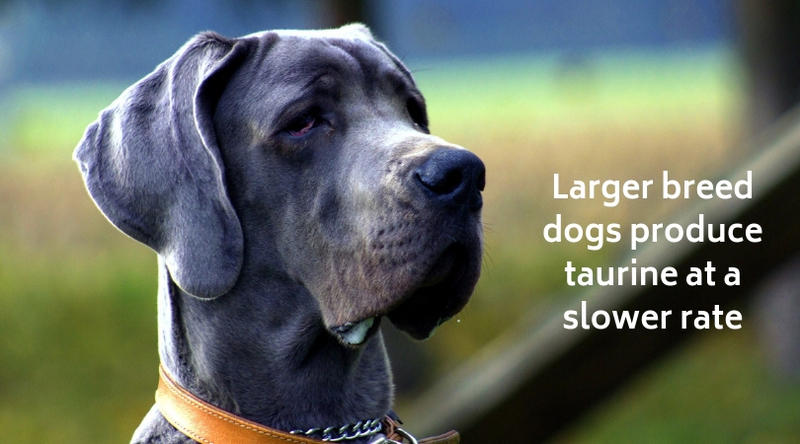 It is now known that larger breed dogs produce taurine at a slower rate than smaller breed dogs, increasing the risk for a deficiency. Genetics might also play a significant role, with certain breeds and family lines being predisposed to developing DCM. For example, certain spaniels, retrievers (specifically Golden Retrievers), and Newfoundlands are known to develop the same taurine-dependent form of DCM that made all those cats sick in the 1970s and 1980s. Diet is likely a factor in about 20-30% of dogs who develop DCM; supplementing taurine may reverse the disease. Age seems to also decrease the rate of taurine synthesis in dogs. During the 1997 studies, most of the dogs with DCM were eating lamb and rice dog foods. It is worthwhile to note that lamb, venison, and rabbit have a relatively low level of building block amino acids compared to beef, chicken, and other poultry. Another study found that dogs eating foods containing beet pulp had lower blood taurine levels. Interaction of food and/or food form (canned vs. dry) with gut bacteria - disruption of the microbiome (gut bacteria population) alters taurine bioavailability in cats through the action of gut bacteria; perhaps this is true for certain dogs as well. Perhaps there is some intrinsic factor in legumes and potatoes that is acting as an “anti-nutrient” and binding or otherwise interfering with taurine metabolism. Affected dogs may have altered pancreatic function, such as subclinical pancreatitis, that prevents nutrient absorption and/or adequate taurine synthesis. These possibilities should be investigated further. However, with that said, an association of taurine or one of its precursors, perhaps a completely different essential protein element, or something else entirely may be at play here. Again, not all animals have tested with low taurine levels. At this time, the FDA is not recommending a diet change, as their investigation is in the very early stages. They have found DCM in dogs eating all kinds of foods, from those with a simple ingredient list to very complex foods. It is also important to note that not all dogs with DCM—and not even all dogs who also had very low blood levels of taurine—responded to taurine supplementation. This implies that it isn’t necessarily taurine itself that’s the problem, but as noted, it certainly could be lack of methionine and/or cysteine. Conversely, many of the sick dogs had perfectly normal blood taurine levels. This situation is potentially just another example that animals need much higher levels of bioavailable amino acids from a variety of sources than most are consuming. Make sure your dog’s food contains mostly meat and not half a dozen vegetables or fractions (potato starch, pea fiber, etc.) that add up to the largest proportion of the food. The problem with grain-free formulas may not be the lack of grains. It’s potentially the high level of starchy carbohydrates (the splitting practices described earlier), coupled with the extreme high-heat processing methods used to produce these diets. If you have a breed or breed mix known to be susceptible to DCM (e.g., Golden Retriever, Doberman Pinscher, Cocker Spaniel, Boxer, Great Dane, Scottish Deerhound, Irish Wolfhound, Saint Bernard, Afghan Hound, Dalmatian, Portuguese Water dog, Old English Sheepdog, Newfoundland), especially if you’ve been feeding grain-free kibble, or if for some other reason you’re concerned about your dog’s heart health, we recommend scheduling an appointment to discuss further. 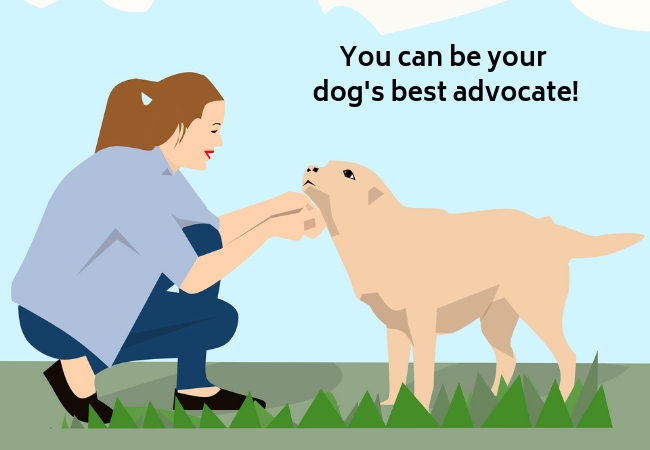 Also, continue to be an advocate for your pet by keeping yourself up to date. The FDA has released a “Questions and Answers” post for consumers. They revealed that their initial report involved 30 dogs and 7 cats. They now have 150 confirmed reports of affected dogs and an unknown number that are being examined. With growing public awareness, there are undoubtedly hundreds of reports pending, but not all will be confirmed as taurine-deficiency DCM. It is possible for a dog to have DCM with completely normal taurine levels, and some dogs with low taurine levels will not develop DCM. Check back frequently on the FDA website for updates. We will continue to monitor the situation and keep you updated, but please feel free to contact us with any questions!